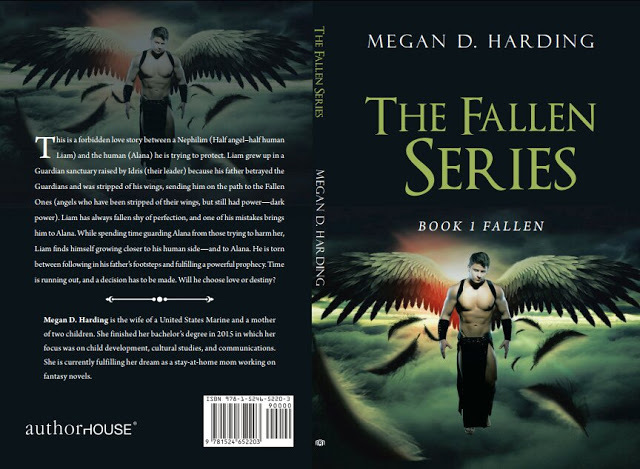 Fallen is a fantasy novel written by Megan D. Harding. It takes us to an imaginary world where angels and demons have control over our day to day lives. They guard us, they send messages, they send temptations our way. Nephilim, the main character is a half-angel half-human, also referred to as Liam. His father was a fallen angel. Liam didn't get a chance to get to know his mother because she was killed shortly after she gave birth to him. Liam was raised by Idris in a guardian sanctuary. Although he grew up in a holy place surrounded by literal angels, it is true what they say about the apple not falling very far from its tree. Like father, like son, Liam falls in love with a human. The story is very fascinating, easy to get lost in it. Although it is fantasy, the characters almost come alive. They are easy to relate to because they represent a certain idea most human beings share. We all want what we can't have. Most of us have had to make a tough choice in the past where our brains tell us the logical and safe choice, but our hearts pull us the opposite direction. We can give into that excitement in this book when Liam is faced with the question: To fulfill his destiny or to follow his heart? Read our interview with Megan D. Harding on The Crazy Mind Magazine.